With every new edition, Maison & Objet Paris elects a Designer of the Year to honour one of the most outstanding names in industrial and interior design worldwide. This year, the chosen one is the talent of Ramy Fischler. We really like what he is doing. 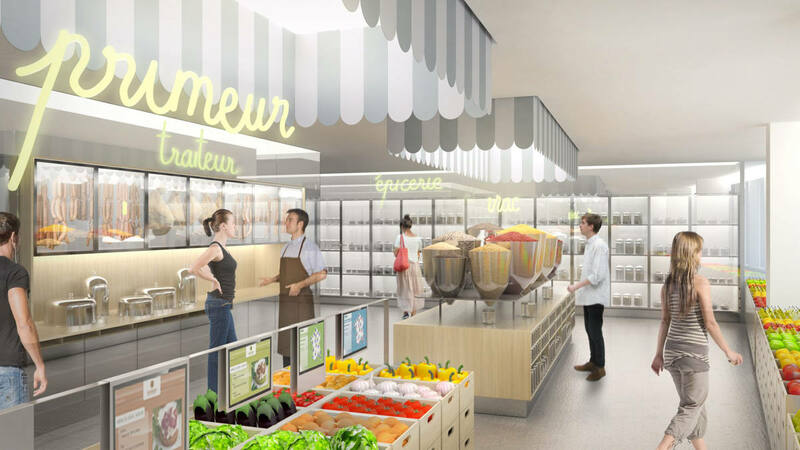 You just have to have a look to two of his last projects: the smart fridge NU!, designed to rethink the zero-waste lunch break; and the Refettorio Paris, a soup kitchen for the homeless and refugees. Ramy Fischler has one obsession: never to repeat himself. 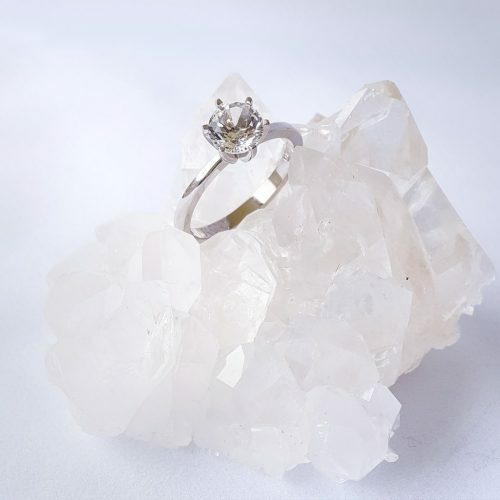 He has a taste for experimentation that began when he was studying design at ENSCI-Les Ateliers in Paris, from which he graduated in 2004, and then developed while he worked alongside Patrick Jouin. Those years he spent exploring all expressions of design eventually led him to establish his studio in 2011. It was then that he developed his own approach. Rather than focus on the formal aspects of space or product design, Ramy Fischler prefers to question the value of function: anticipating tomorrow’s behaviours, defining the reason and use of each project, visualising the environment where a piece would be effective... These are the preliminary steps in his creative process. For Ramy Fischler, design must make sense. 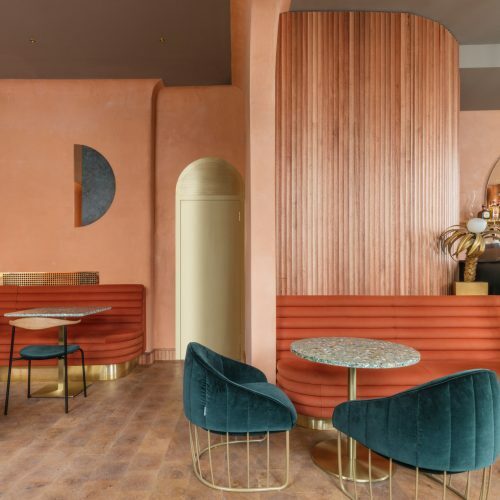 Originally from Belgium, the designer, who moved to Paris in 1998 and was a resident at the prestigious Villa Medici in Rome, is just as comfortable working on practical projects as he is on more conceptual ones. Generally speaking, his work is strongly influenced by cinema, a discipline which has always fascinated him. He practices design in much the same way a director makes a film. Fiction and collaborative work are the twin pillars of his process. His interior design projects for private residences and restaurants regularly give him the opportunity to design furniture, which he produces himself and shows in galleries. He also creates hybrid objects that illustrate his capacity to blur the boundaries between disciplines. An area of research he started investigating when he was a professor at the Le Fresnoy – National Studio for Contemporary Arts, with a project entitled L’Image Éclaire, which created a connection between image and cinema. © Sot L’y Laisse. 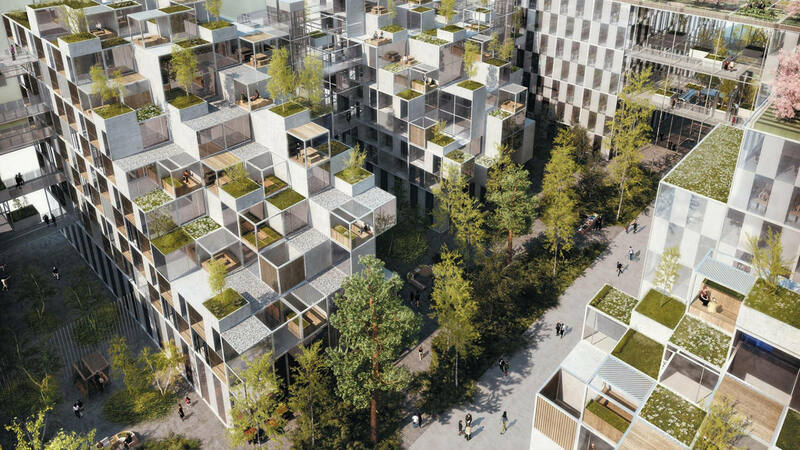 Reinventer Paris competition - Eole evangile site - urban furniture. © NU! Smart fridge. Connected fridge zero waste for the lunch break. © La Compagnie des Philanthropes. First incubator dedicated to philanthropy. As of early 2018, Ramy Fischler is currently focusing on his work as a scenographer for the opera, which includes the set design for a version of Hamlet directed by Cyril Teste, expected to debut in December at L’Opéra Comique in Paris, and an exhibition titled L’Intelligence de la Main for the Bettencourt Schueller Foundation, as part of the Homo Faber exhibition, which explores the notion of know-how. "We are constantly tracking the latest developments in technology, innovations in business, social and economic changes, and environmental issues". He is also immersed in sustainable projects. For instance, for the Philanthro-Lab, one of the projects short-listed for the Réinventer Paris 1 contest, he collaborated with Compagnie de Phalsbourg and architecture studio Perrot & Richard to define a programme, anticipate needs and create the project’s layout. 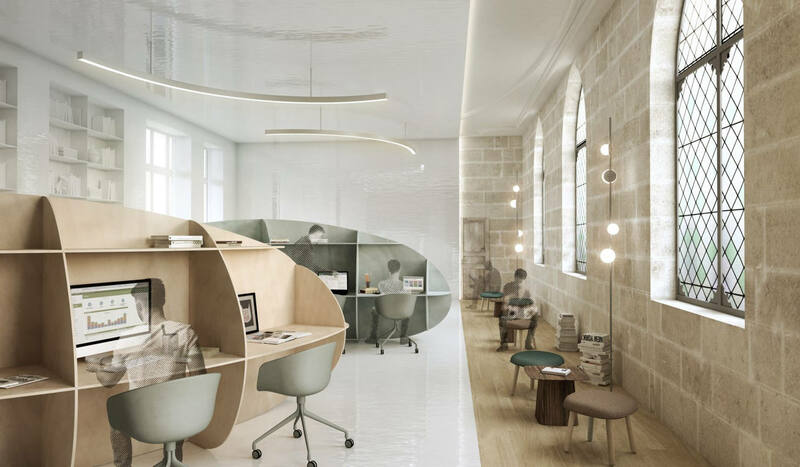 Twitter France has also commissioned him to investigate the many ways in which work environments are changing, question the value of information and apply his findings to space planning and office design. As an entrepreneur designer, he is involved in the development of Nu!, a zero-waste corporate catering service based on local and direct produce sourcing. He has also launched a startup initiative to design a connected refrigerator that accepts cashless payments. 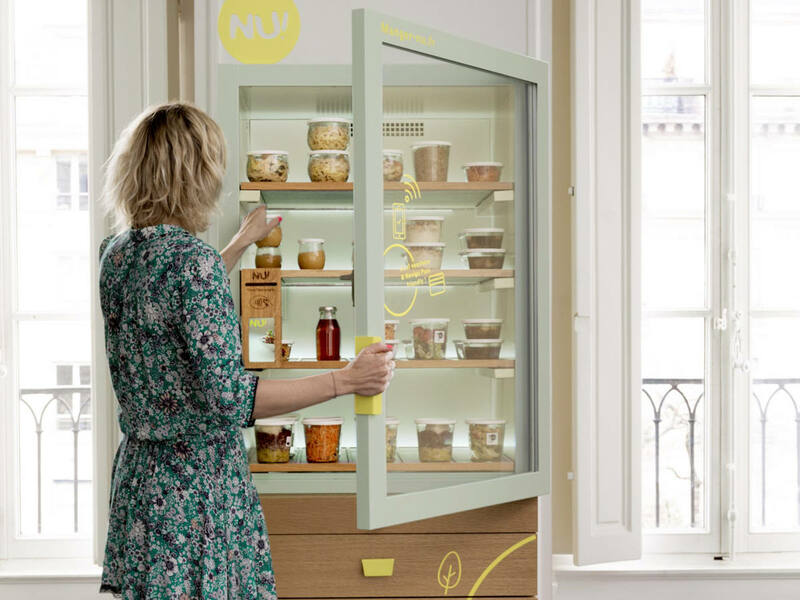 Some sustainable recent projects which illustrate the studio’s approach and diversity are the smart fridge NU!, designed to rethink the zero-waste lunch break; Refettorio Paris, a soup kitchen for the homeless and refugees; and the first philanthropy incubator, winner of the Réinventer Paris competition. But that is not all! 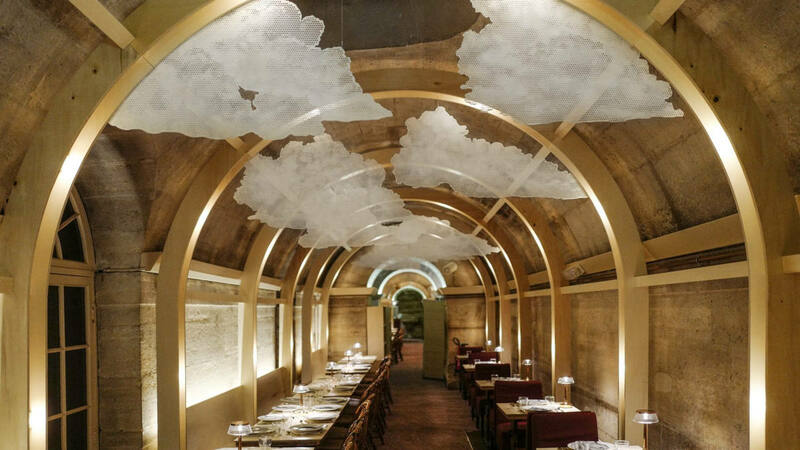 Among Ramy Fischler’s latest projects is a commission for Refettorio Paris, a soup kitchen for the homeless and refugees, initiated by Italy’s most prominent chef, Massimo Bottura and established inside the Foyer de la Madeleine. 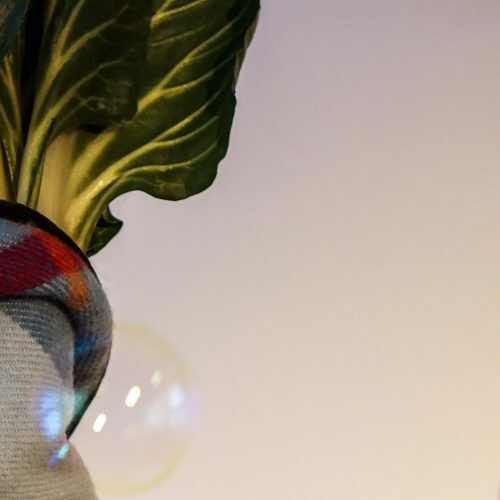 Fischler is collaborating with Nicola Delon – founder of studio Encore Heureux – to create the bespoke décor made from recycled building materials. Just a stone’s throw away, he has recently started two new projects on the Champs-Élysées: a palace hotel and a new concept of film theatre.